LONDON, 2018-Mar-28 — /Travel PR News/ — easyJet, Europe’s leading airline, has today announced that it is extending its ‘Worldwide by easyJet’ connections platform to Berlin Tegel, Venice Marco Polo, Amsterdam Schiphol, Paris Charles De Gaulle and Orly and Edinburgh airports. This means that, combined with the connections already announced through London Gatwick and Milan Malpensa, over half of the airline’s flights – and 53 million easyJet customers a year – will be able to connect to airline partner services and other easyJet flights in a single booking through easyJet’s digital booking portal. easyJet has also brought new connecting airlines onto the ‘Worldwide by easyJet’ booking platform and has today also announced partnerships with Thomas Cook Airlines at Gatwick meaning easyJet customers can now travel as far as the Caribbean or to the USA, Africa and the Indian Ocean with La Compagnie and Corsair who will both fly from Paris Orly. easyJet’s existing relationship with WestJet and Norwegian will enable the airlines to offer long haul connectivity at more of Europe’s biggest hub airports – Norwegian will extend connecting services from Paris Charles De Gaulle and Paris Orly in the coming weeks, from Amsterdam Schiphol in the summer when the airline launches its service to New York from the Dutch capital and also from Edinburgh. Meanwhile easyJet’s existing relationship with Loganair will allow easyJet customers to connect to the highlands and Islands via Edinburgh. “We are pleased to announce that we will be extending our ‘Worldwide by easyJet’ connections platform to Berlin Tegel from summer 2018 onwards. 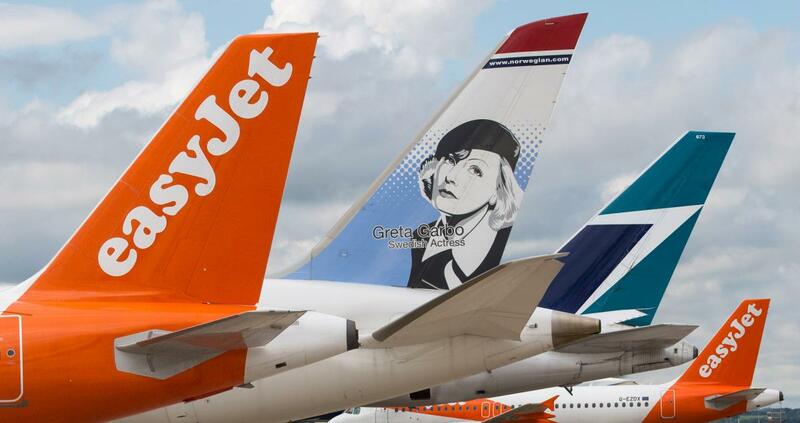 The addition of Tegel, alongside other key airports in the network, means that 53 million easyJet customers will be able to connect to other airlines’ or to easyJet flights. We have been delighted with the appetite of partner airports and airlines to expand Worldwide across our network allowing us to access a greater range of passengers flying across Europe. “Because of easyJet’s reputation for great customer service and our strong positions at Europe’s leading airports, long haul carriers as well as airports have been asking to work with easyJet for some time. ‘Worldwide by easyJet’ is the first global airline connections service by a European low fares airline. Legacy airlines have traditionally offered connectivity through costly and complex interline and codeshare agreements and procedures. With Worldwide by easyJet these will be replicated by self-connect and sales partnerships through a digital, virtual hub which will offer the same sort of connectivity but more simply and efficiently. This entry was posted in Airlines, Airports, Flights, Travel, Travel Management, Travel Marketing, Travel Services, Travelers and tagged Christoph Debus, Corsair, easyJet, Engelbert Lütke Daldrup, Gordon Dewar, Graeme Bell, Jean Charles Périno, Johan Lundgren, Jonathan Hinkles, Julien Houdebine, La Compagnie, Loganair, Thomas Cook Airlines, ‘Worldwide by easyJet’. Bookmark the permalink.